Wayanad, the hill district located in Northern Kerala derives its name as a combination of Vayal (paddy field) and Nadu (land) or the Land of Paddy Fields. However, this enchanting and undulating stretch of greenery and forests are located at around 2000m above sea level within the contours of the Western Ghats mountains. This combination of thick forests, paddy fields and plantation estates creates a unique landscape of unending stretches of mountainous and wooded trails that are absolute delights for nature lovers to spend their holidays. And fully in tune with the wondrous nature of the place, there are many nature resorts that have sprung up across Wayanad that offer a great deal of pleasure to the nature loving tourist. The best nature resorts in Wayanad offers its guests a gamut of in-house and off-the-resort activities that is sure to be of great excitement and enjoyment to the guests and the memories of which they carry will stay with them forever. There are a host of activities that the best resorts in Wayanad offer for nature lovers. Many of the resorts in Wayanad are spread across acres of lush and wooded hills and valleys or plantation estates. Streams of fresh running water run across these resorts and waterfalls happen where these change course with sudden difference in altitudes. All these create the ideal setting for leisurely treks, zip lines, rock climbing and other adventure sports activity, bird spotting and nature photography to name a few. The quiet corners found around resorts also offer ideal spots for spending time in solitude, reading a book or just for lazing and enjoying the best the nature has to offer. Many nature resorts also offer sightseeing and trekking tours for their guests to places across Wayanad. You can trek to mountain peaks, go under or climb above gushing waterfalls, enjoy the vistas of tea gardens and coffee plantations, explore the remnants of neolithic-age caves or take a boat ride in one of the many freshwater lakes in Wayanad. One of the best times to visit Wayanad is the monsoon season between June and September, when the weather is cool, the water bodies are in full spate and the greenery is at its most verdant. The rain adds to the charm of the explorations through the nature resort and beyond in Wayanad. The monsoon season is also the best time to undergo the famous Ayurveda healing and rejuvenation therapy treatments that the place is famous for as our body will be at its most supple to gain the benefits of the messages and other therapy methods associated with Ayurveda treatment. Aromatherapy massages are also offered by some of the good nature resorts found in Wayanad. They have in-house facilities and highly skilled therapists to perform these massages. You can also buy the best natural and locally made or grown produce sold in the stores located within the nature resort or in the shops that dot the various locations across the Wayanad. So if you are looking to take a small break from the hustle and bustle of city life and enjoy some well deserved solitude, then nature resorts in Wayanad are the best choice for it. 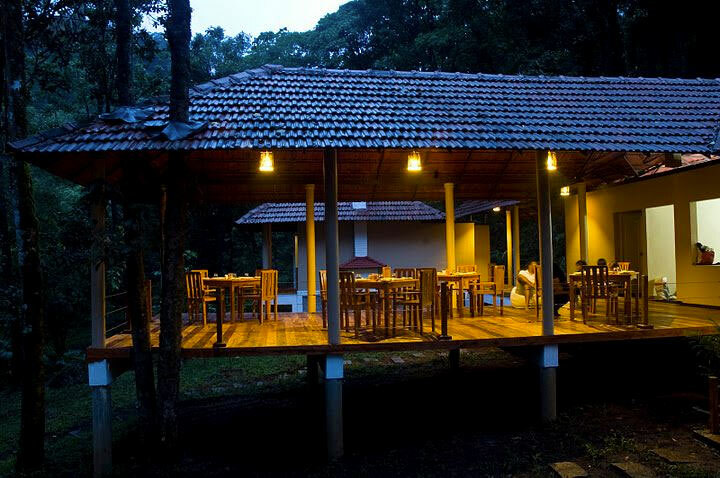 Located amidst the dense evergreen forest in Meppadi in Wayanad, LanternStay provides the nature enthusiasts and the solitude-seekers a chance to connect with nature and enjoy its many offerings. At the LanternStay, you can relax or engage in any activities provided by the resort – from nature walks, explorations, guided plantation tours, bird watching to trekking and aromatherapy massages. You can choose to stay in one of the elegant cottages or in one of the beautiful tree houses that dot the resort. The tranquil surroundings, mesmerizing views, delicious organic food and friendly service, all ensure a stay that is exhilarating and enjoyable. Come and connect with nature. Get in touch with us at LanternStay today and enjoy a break that will be worth remembering.